As I was going through my morning routine, I saw a MSN.com roundup post from TheDailyMeal.com listing the TOP 50 best fried chicken spots around the country. I was pleased to see some of my favorites on their list but they have missed some gems. Therefore, here's my top 10 favorite fried chicken places for the very best fried chicken in the entire USA. Add them to your travel bucket list (pardon the pun). While some of my favorites are not on their list, don't pass them by. After all, they did their research via the Internet. I did mine with GPS and a wet nap. 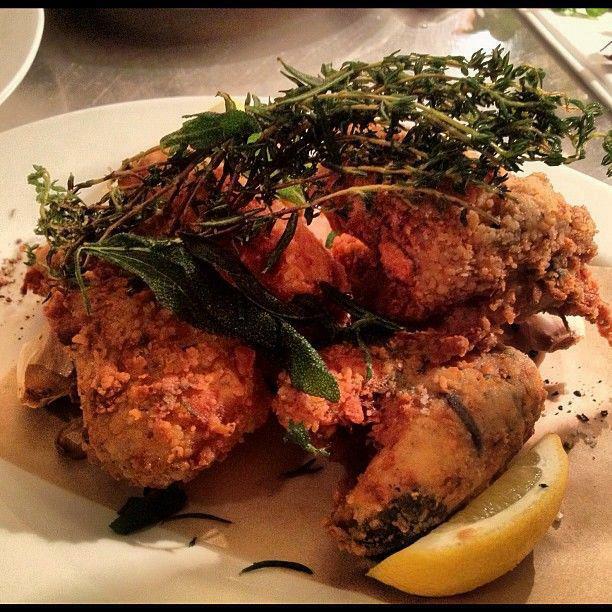 Please post your own favorite fried chicken favorites in the comments! Where should I go next? Photos from Willie Mae's Facebook page. They don't have a website but close at 5pm daily and closed on Sunday. I am in Miami quite often it seems, and the only place I make sure to visit each and every single trip is Yardbird. My first visit was quite memorable. It was in March 2012 right after we got out of jail during filming of Food Network Star. Actually, it was not a real jail, we were simply sequestered. But it truly FELT like jail for about three months. When we finally got to go out to dinner, we went to Yardbird. I have never, ever, tasted anything that good in my entire life. Paired with a cold Blackberry Lemonade, well, that made the whole jail thing almost worth it. It usually comes with some chunks of fresh, cold watermelon, perfect to cut through the "comfort" of the chicken. Save it for the end. 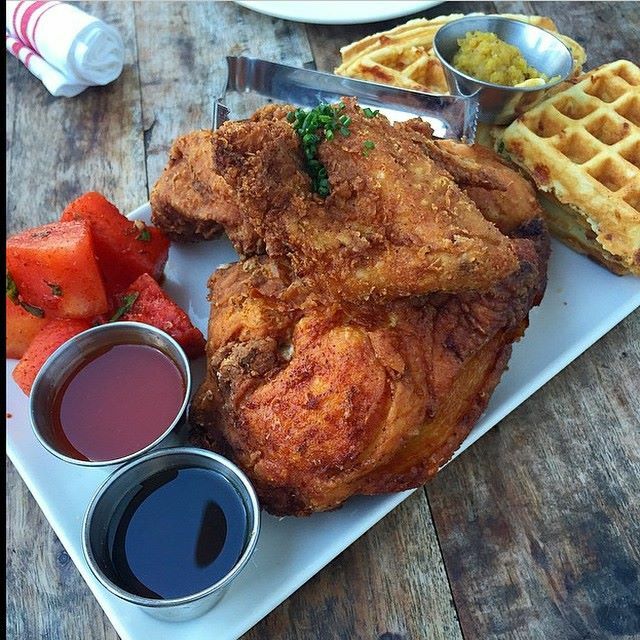 Fried Chicken pairs perfectly with Blackberry Bourbon Lemonade at Yardbird Southern Table & Bar in Miami. Photos borrowed from their Facebook page. Located in a red cinder block building, you might not think much when you first pull up to Arnold's. Don't let looks deceive you. This is one of the best meat and three's (meat and three vegetables for all of you non-southerners) in the USA and certainly, their fried chicken helped put them on the map. It's spicy but not so hot like the Nashville "hot" chicken that is so trendy. It has hot sauce in the brine and cayenne in the dredge but it won't burn your mouth off. You have to click on the website to see the list of daily specials. I promise you, you'll start looking for airfare. Everything scratch made. Go. Eat. Die happy. (Don't forget the pie.) Say hello to Luke Bryan if you see him in line. Photos from the Arnold's Country Kitchen website and Facebook page. Left photo credit: Ron Manville. If you have not been to my hometown of Birmingham, plan a trip, even if just for the food. We have some fantastic restaurants around the Magic City, many of them part of the Jim 'n Nick's chain. The Little Donkey is their latest concept. It's a Mexican place. On my first visit, I went there to eat Mexican food. Now, I go there for the best fried chicken in town. They brine it in buttermilk but infuse the brine with three different chilies for the subtle heat. It does take a while- about 25 minutes to get to the table- but that's only because they fry it to order. You can call in 205-703-7000 and they will get your order started if you're on your lunch hour. Tell them I sent you. Half a bird is only $14. 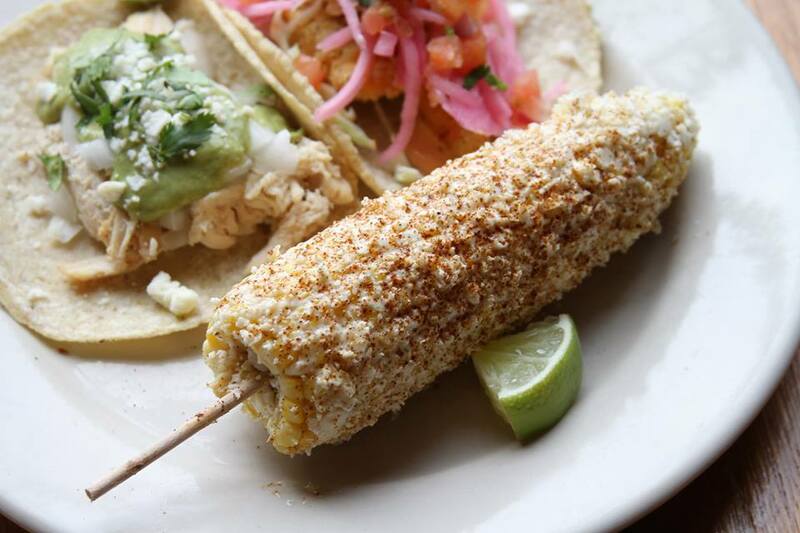 Make sure to get the Elote: grilled corn on the cobb with Cotija cheese and dusted with ancho chili powder. And may as well have a Horchada while you're waiting. Why would I order Fried Chicken at a Noodle Bar? In New York City? Because rumor has it that David Chang can make a mean fried chicken and my friends made me go there to prove it. It's no rumor. There are two kinds. I loved the Old Bay version, of course. It is a flavor I love but never thought to put it into my dredge for fried chicken. Do it. I guarantee you I will from now on. You will see on their website that Fried Chicken has its own page. They call it "a large format meal" that means it is a feast that feeds 4-6 people. And you need a reservation booked way in advance. Gather your 6 best friends or some strangers off the street if you're in NYC alone. It's $125 for the chicken and all of the sides they bring with it... the little pancakes are fabulous. I didn't mention the triple fried Korean version that you also get with the feast... equally worthy if not superior. I did not take any photos that night. Or if I did, I can't find them. Here's a shot from their website. I love Stephanie Izard's Girl and the Goat and always stop in when I'm in Chicago. But lately, I find myself at her little sister, the Little Goat Diner. Mainly because it is a bit easier to get in and also because they have real deal fried chicken like we make at home. You get 3 pieces: breast, wing, and leg plus some rather delicious slaw (I never like slaw outside the South but she makes a nice one) that balances the little bit of heat you taste from the brine. Casual and yet very refined, this fried chicken is a lot like the Little Goat itself: as fancy as you want it to be. Eat your fried chicken on the rooftop on a warm Chicago day and you'll feel like you've traveled back in time to your Grandma's. Oh, and it is open for breakfast and is my favorite late-night place, too! Thanks, Stephanie. 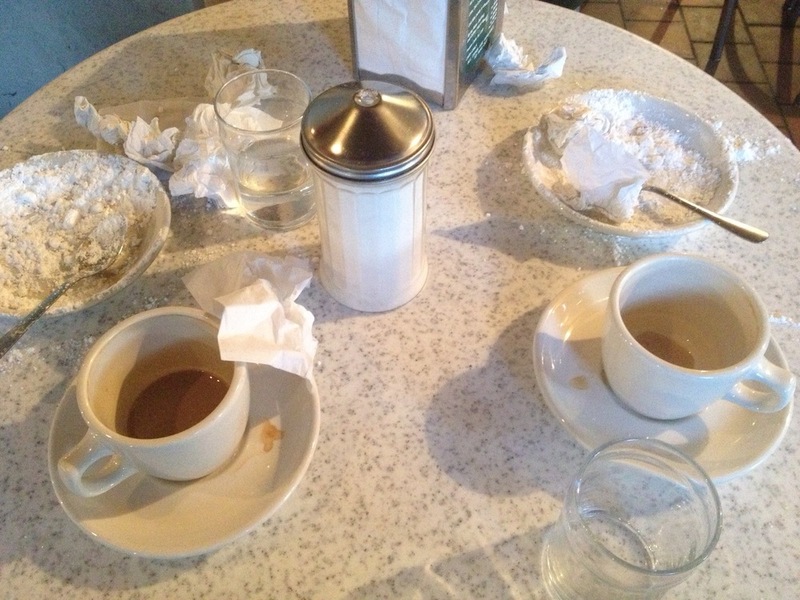 Dooky Chase is another must in New Orleans. It started out in 1941 as a neighborhood sandwich shop and lottery ticket outlet. They soon hit the lottery themselves, growing into a highly respected culinary destination thanks to Chef Leah Chase. Dooky's has been a tourist favorite for decades but you know it is good when the locals will fight the crowds to get in. While known far and wide for their fried chicken, they are at their roots a Creole restaurant and on Friday night, Chef Chase prepares a special menu of local favorites. But we're talking chicken. It's crunchy. Extra crunchy, in fact., almost like bark. Ms. Leah has won awards for best fried chicken so many times, it is pointless to try to list them all. Make the pilgrimage. You must. And forget the dessert. Get another piece of chicken. Because I travel all the time, I get as many questions about where to stay and where to eat as I do about anything else so I decided to write about them for you. 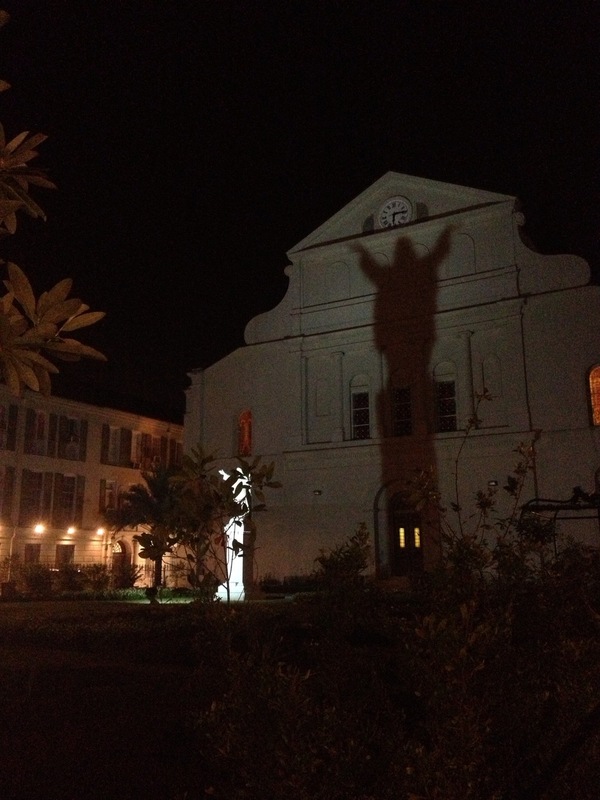 Here are some of my favorite spots from my trips to New Orleans. Ask folks to say the first thing that pops into their mind when you say New Orleans and their answer, 99.5% of the time is Mardi Gras. While I love the carnival atmosphere of Mardi Gras and all of the parades and celebration of tradition it brings, there is a totally different New Orleans. Plan your next visit when it is not Mardi Gras... perhaps around Christmas. It is my favorite time of year to be there. The streets, hotels, and homes are so beautifully decorated and the cooler temperatures and humidity-free days make it easy to really get out and explore one of America's most interesting and exciting food cities. The architecture and buildings- even the ones in disrepair, are fascinating. Make sure to look up as you wander the streets and alleyways. You might miss something spectacular if you don't! Because I'm always on the road, a good bed with nice linens is important to me. And in New Orleans, I don't want to drive because parking isn't easy so I stay in hotels where I am close (walking distance or quick cab ride) to my favorite spots. The Hotel Monteleone: Is my favorite place to stay in New Orleans. A 4-star hotel right in the French Quarter, most rooms overlook the Mississippi or the Quarter. It has been owned by the same family for five generations. It feels like Paris- but the rooms are larger. The beds have luxury brocade linens which have a rich, old world feel. The hotel's famous Carousel Lounge-a revolving bar off the lobby- has become a bit touristy and crowded but still fun to sit and chat with people from all over the world over a Sazerac. JW Marriott on Canal: I'm a Marriott rewards member so Marriott hotels are usually my home away from home. 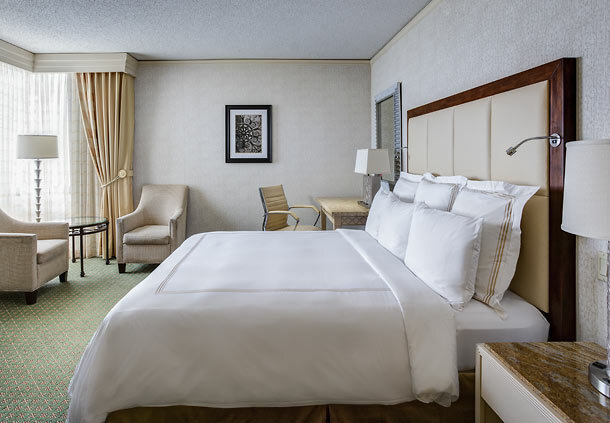 The rooms are extremely nice with big, fluffy beds dressed in crisp, white linens. Important to me, a large bathroom with a marble vanity where I can actually put something more than a toothbrush. There's a rooftop pool (small, but still a pool) where I occasionally will relax and read a book, and it is walking distance to everything. 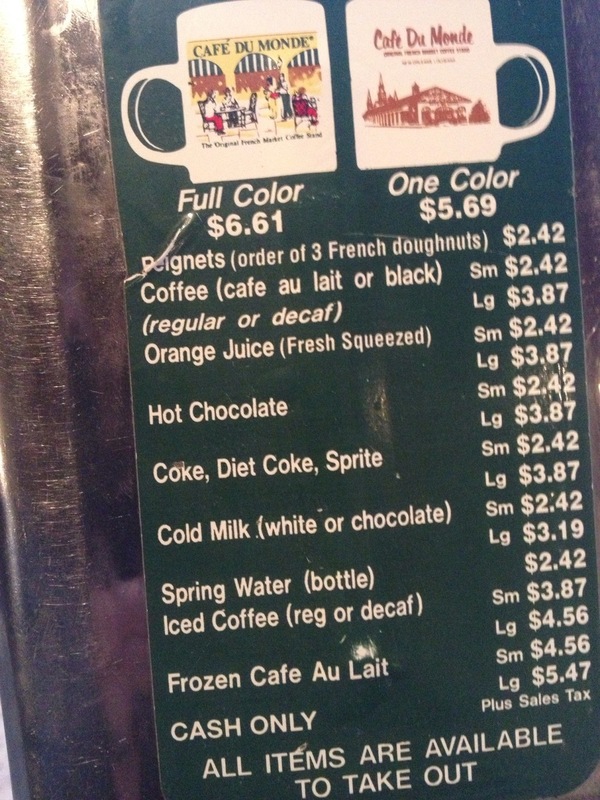 And Morning Call certainly gets a mention for their beignets. If you pass one, stop in. There was one in Metairie but it may have moved since I was there last. They don't have a website so I'm not sure. 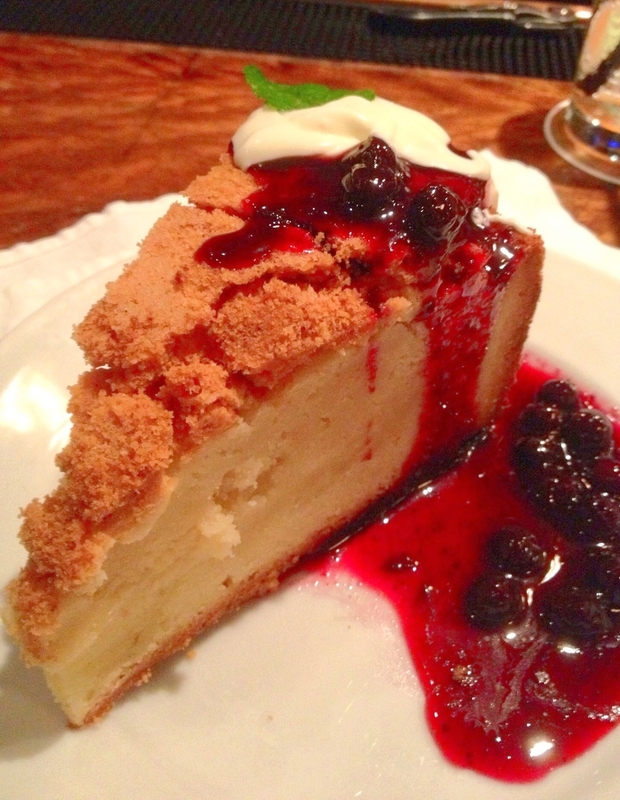 Top left: Vanilla Gateau Basque Cake with Louisiana Berries. Top right: Luke Shrimp and Grits. 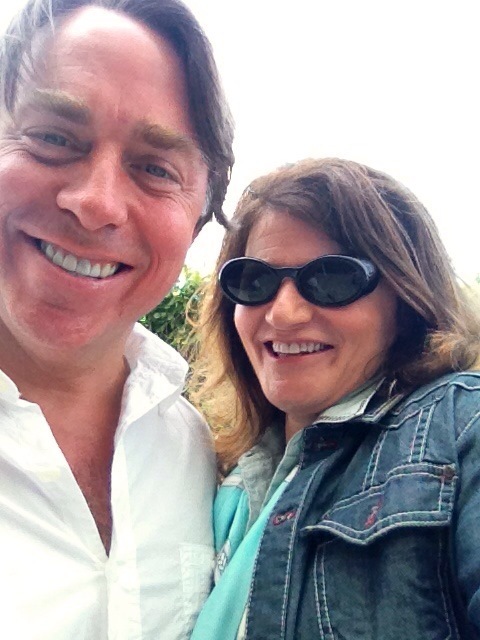 Bottom left: Chef John Besh. Bottom right: Selfie with John in Miami. It's that time of year! 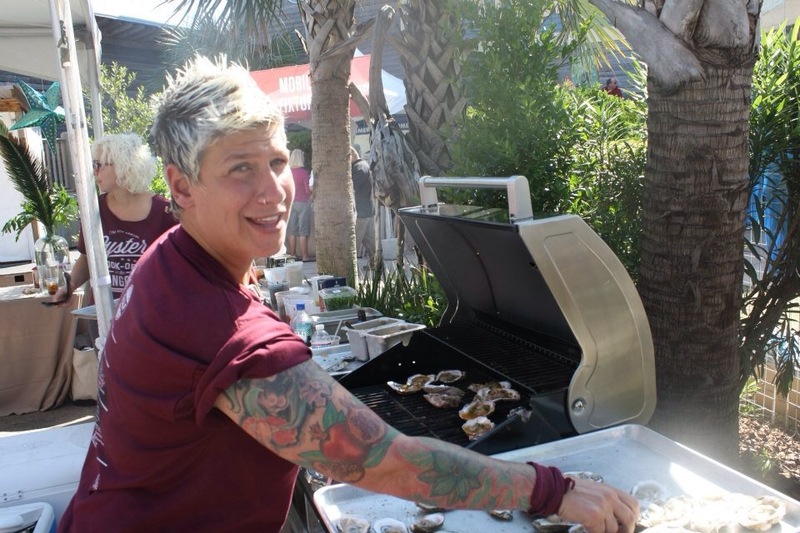 The 7th Annual Oyster Cookoff is November 7-9 at The Hangout in Gulf Shores, Alabama. This event has become the biggest party of the year for me and is one of my favorite weekends on the Gulf. The weather is perfect, the crowds are gone, and the oysters are in season and absolutely beautiful. Best of all, it is FREE to attend! Come to the 2014 Hangout Oyster Cookoff November 7th-9th! We kick it off with a Craft Brew Festival on Friday night and wrap it all up with a Sunday brunch. Come hang out with us and enjoy the Gulf at the very best time of the year. Come join me for one of the best parties on the beach! The Hangout Oyster Cookoff is a celebration of the season: oysters, football, craft beers, and great friends! And all of this on the world's most beautiful white sugar sand beaches of Gulf Shores, Alabama. Turquoise Place is always my home away from home on the Gulf Coast. The condos have huge kitchens and each has its own private hot tub on the balcony. AND a grill. AND the most beautiful view of the Gulf you will ever see. Paradise. 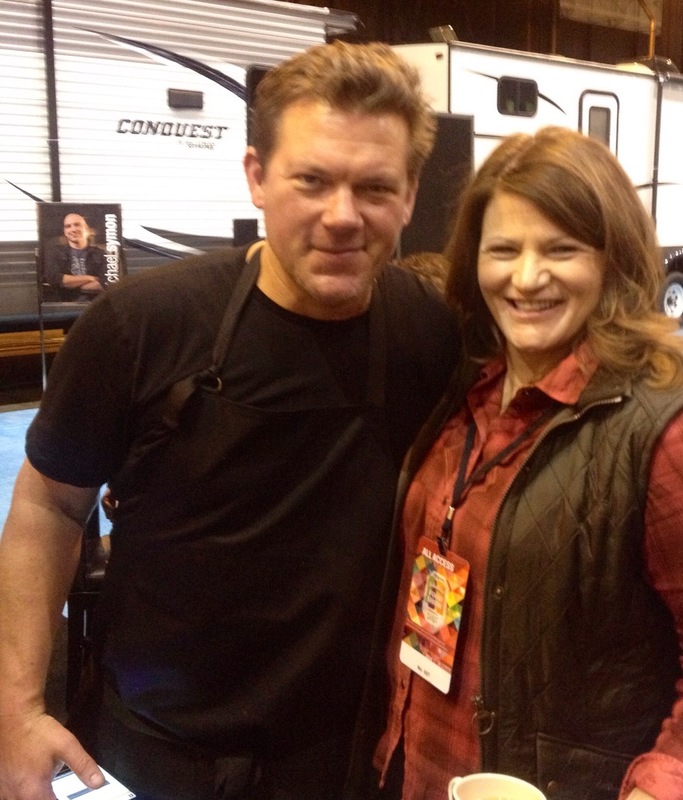 I've asked my Season 8 Food Network Star friends to come back this year! Come meet Michele Ragussis, Linkie Marais, Nikki Martin, and Ippy Aiona. They will be preparing oysters their way on the BIG GREEN EGG stage beginning at 11:00 am. I'm also bringing in one of my very favorite chef-friends as co-host for the party of the year... 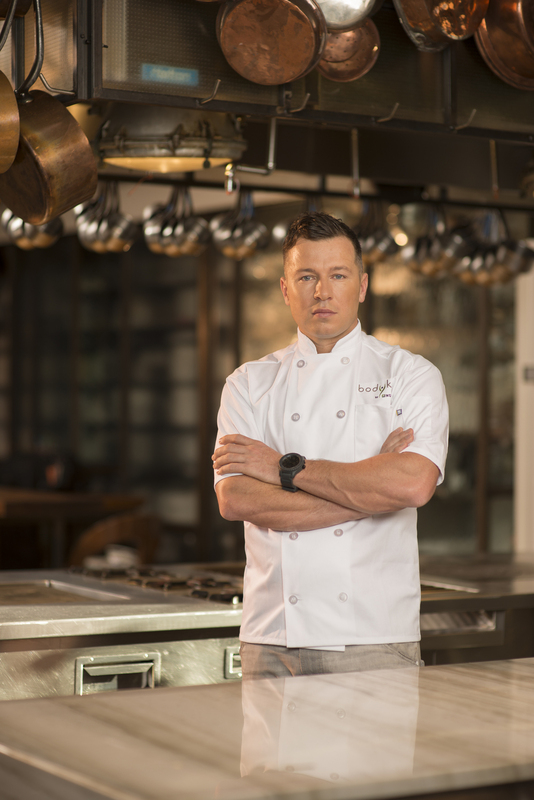 Chef Jason Roberts. 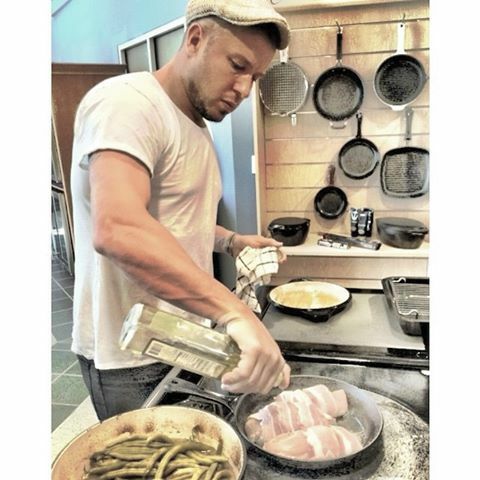 You may have seen him recently on the Rachael Ray Show, or on The Chew, or on the Cooking Channel. This guy is one fierce chef! A Kiwi currently living and working in Australia and New York, he donates his time to help No Kid Hungry and has biked hundreds of miles to raise awareness and funds. Jason and I are hosting a pairing dinner on the beach on Saturday night, November 8th at The Gulf with Ole Smoky Moonshine and New Belgium Beer. My other Food Network friends will donate a recipe to pair with beer or moonshine. It's going to be a blast. Best of all, we will raise both awareness and funds for No Kid Hungry at a time of the year when they need it most.